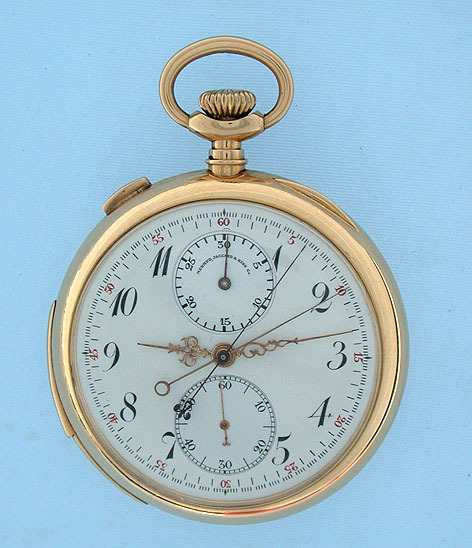 Fine Audemars Piguet 18K gold minute repeating split second chronograph antique pocket watch circa 1907. Fine white enamel dial with black and red numbers and subsidiary indication for constant minute register. Plain polish case. Highest quality 34 jewel nickel movement jeweled to the center and the hammers with precision regulator and the chronograph works mounted on the back. Dial and movement signed with the name of the retailer. 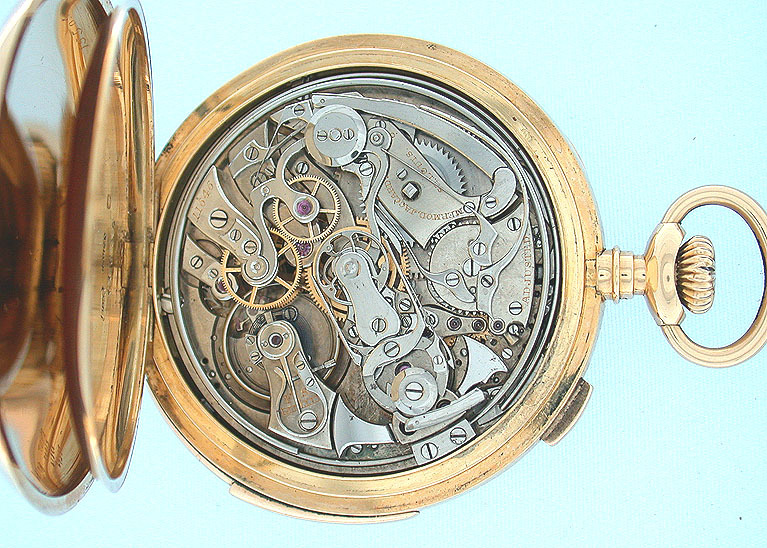 The case with Swiss hallmarks and the same number as the movement. 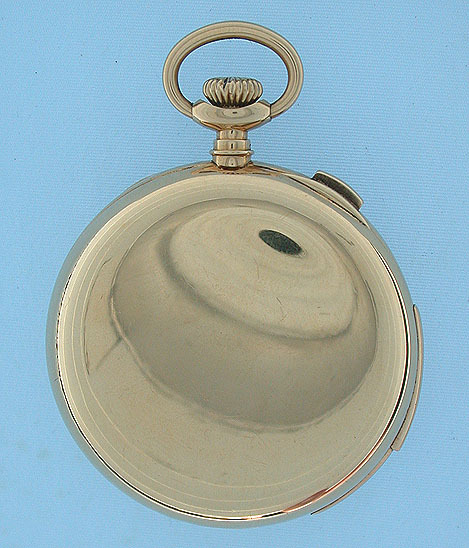 A first quality watch by a famous maker in particularly fine condition with loud clear tone. 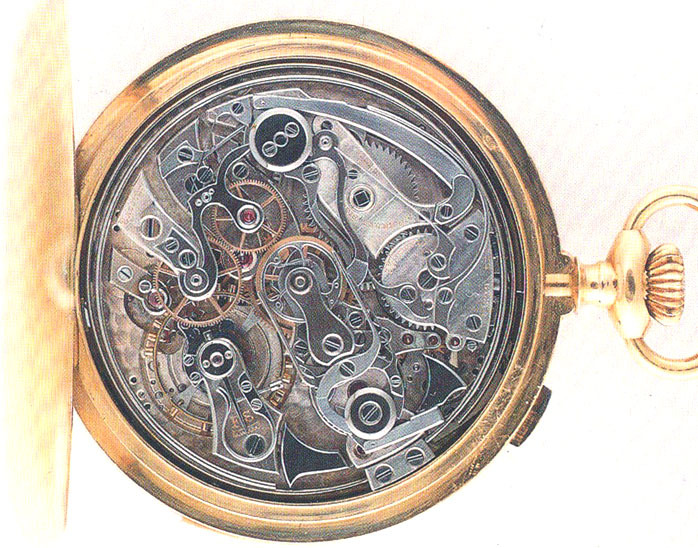 The following scan is of a virtually identical movement signed Audemars Piguet from the book "Audemars Piguet" by Brunner, Pfieffer-Belli, and Wehrli, page 130.